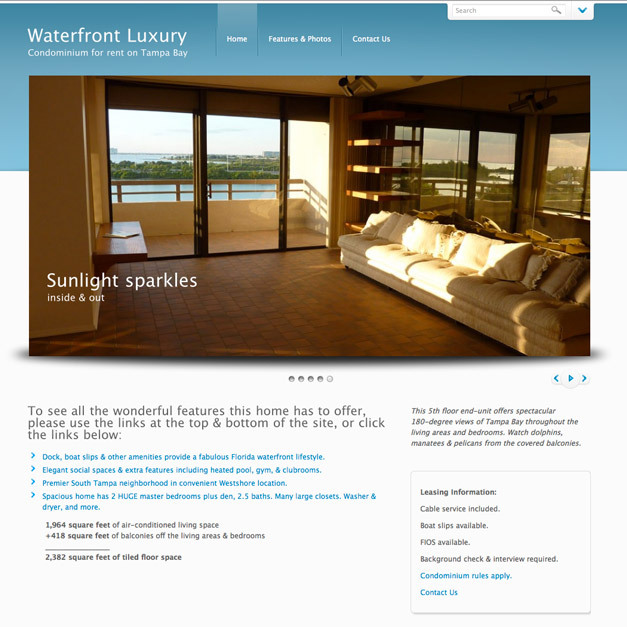 All photography for this site was provided by Mariella Smith for InSight Graphic Design. 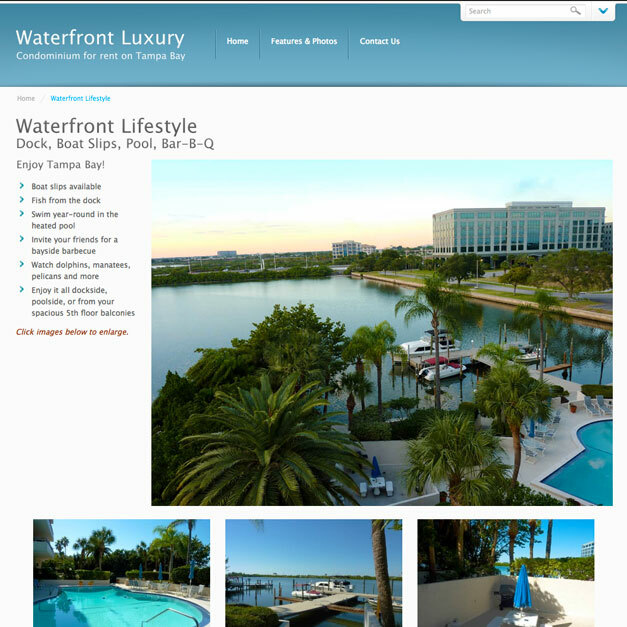 Large slideshow on the home page shows off a waterfront property in the Westshore district of Tampa Bay. WordPress content management system allows easy updating from the backend dashboard.